Search Results for "austin texas skyline"
AUSTIN, TX - Circa December, 2017 - A slow forward rising aerial evening establishing shot of the Austin, Texas skyline. AUSTIN, TX - Circa December, 2017 - A slow forward dusk aerial establishing shot of the Austin, Texas skyline as a tour boat travels on the Colorado River. Drone video of the Austin, Texas skyline after sunset. 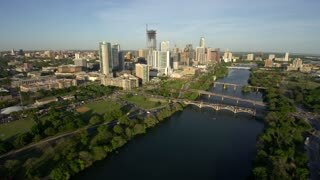 Aerial panning shot of the Austin, Texas skyline on a beautiful day. The Colorado River and the people going about their day are seen below. A panning shot of the Austin, Texas skyline with graffiti and the Colorado river in the foreground. 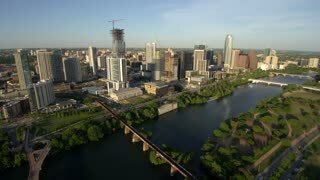 Drone video of the beautiful Austin, Texas skyline during sunset. Beautiful drone video of the Austin, Texas skyline at night. 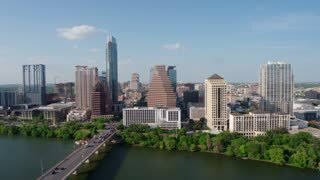 Taken above the historic South Congress Ave.
Drone video of the Austin, Texas skyline. Time lapse sunrise of Austin, Texas skyline from 25 floors up. Static shot of the Austin, Texas skyline with graffiti and the Colorado river in the foreground. Pedestrians walking along a bridge with the Austin, Texas skyline overlooking it.